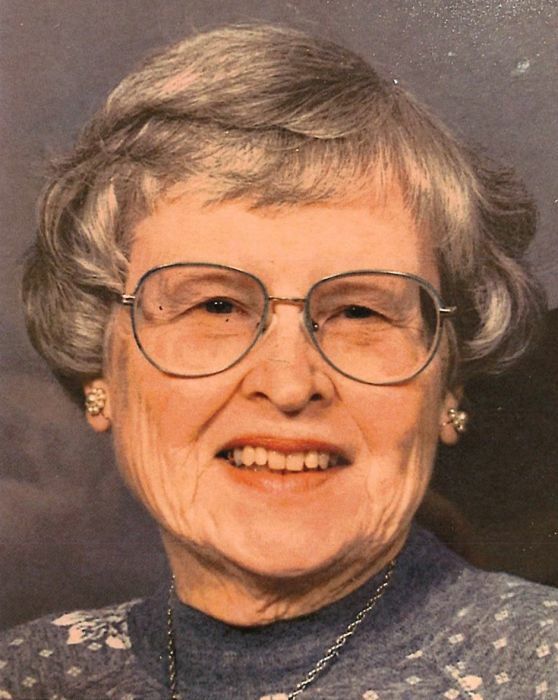 Obituary for Eleanor Margaret Hanna | Fox Funeral Home, Inc.
Eleanor Margaret Jamieson Hanna, 94, of Cabot, passed peacefully into the arms of her Lord on April 4, 2019 at Oertel Personal Care at Concordia Lutheran Ministries, Cabot. Born October 22, 1924 in Roslyn, PA, she was the daughter of William and Mary Jamieson. Eleanor attended Temple University in Philadelphia where she received a Bachelor’s degree. She then went to Bryn Mawr College to graduate with her Masters of Social Work. She became a Deaconess at Mt. Airy Lutheran Seminary in Philadelphia. She served as a social worker for Southwest School District, Passavant Retirement and Health Center, and Lutheran Welfare. While working as a Deaconess and serving in various health and welfare agencies, parishes, and schools around the country, she met her husband, Reverend Kamal Joseph Hanna. They were married on September 5, 1959. Friends will remember her by her faithfulness to the church and community, her profound artistic and musical endeavors, and of course, her "punny" sense of humor. She was preceded in death by her husband, Rev. Kamal Joseph Hanna, and daughter, Lisa Kay Hanna. She is survived by her sons, Mark J. Hanna, D.O., of Myrtle Beach, SC, and Philip (Susan) M. Hanna, PhD, of Dayton, OH. She is also survived by 7 grandchildren, Alyssa (Timothy) Falarski, Jennifer Hanna, Shawn Hanna, Matthew Hanna, Brian Hanna, Scott Hanna, and Zachary Hanna, and 1 great-grandchild, Jameson Falarski. Friends will be received on Monday, April 8 from 2-4 & 6-8 pm at the Fox Funeral Home. Funeral service will be held at the Haven III Chapel of Concordia Lutheran Ministries 160 Marwood Road Cabot, PA, on Tuesday, April 9 at 10:00 a.m. with Rev. Roger Nuerge officiating. Interment will be in Saxonburg Memorial Church Cemetery. Memorial Donations may be made to Concordia Lutheran Ministries.